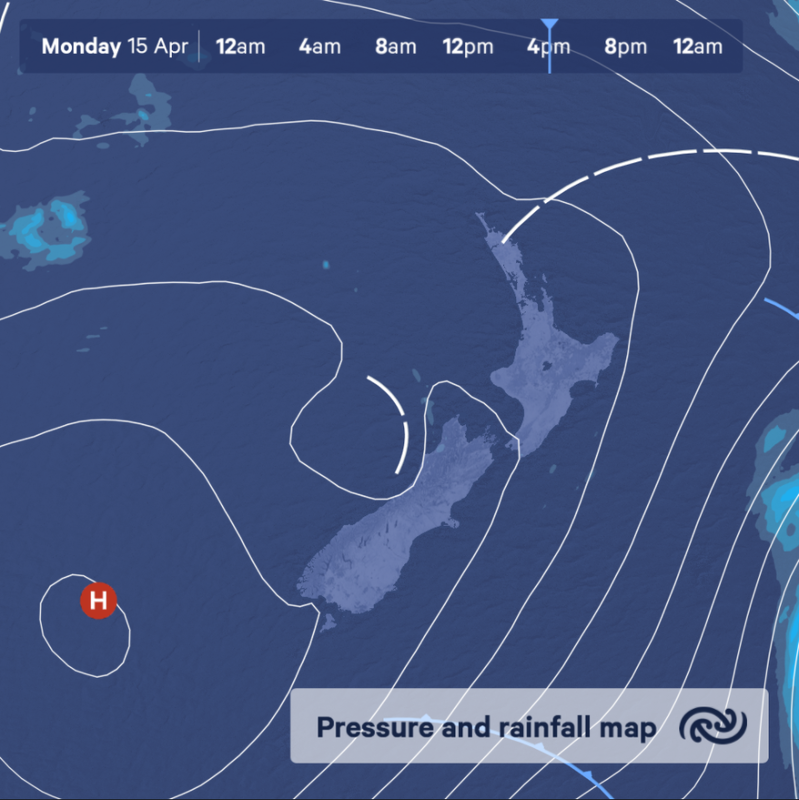 High pressure is the theme for the first week of the school holidays, and the lead up to Easter. This means that weather will be generally settled for most places. Much of the country is already seeing sunshine on Monday, though cloud and the odd shower remain about the east coast of the North Island. The weather will be mostly dry as we head towards Easter weekend, with fine weather expected in Auckland on Thursday for the start of the Royal Easter Show. However, a front is expected to approach from the south to end the week, bringing a period of rain to the south of the country this weekend, before spreading northwards.